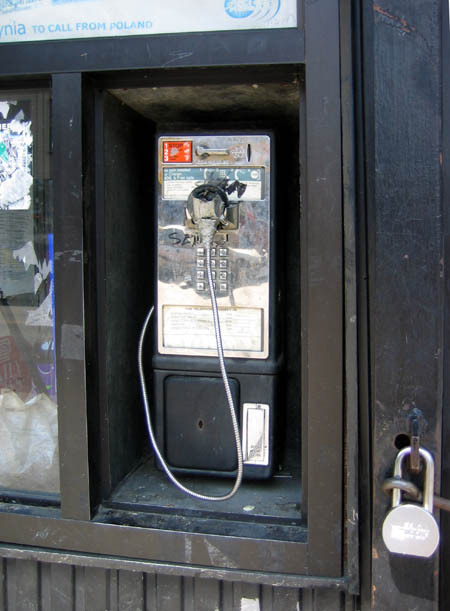 Yesterday I found an injured pay phone that stand head(less) and shoulders above its peers. The duct tape is a nice touch. Given the propensity most people have for talking at each other nowadays, this device may very well be cutting edge technology. It is certainly a must-have for CB enthusiasts. 10-4. 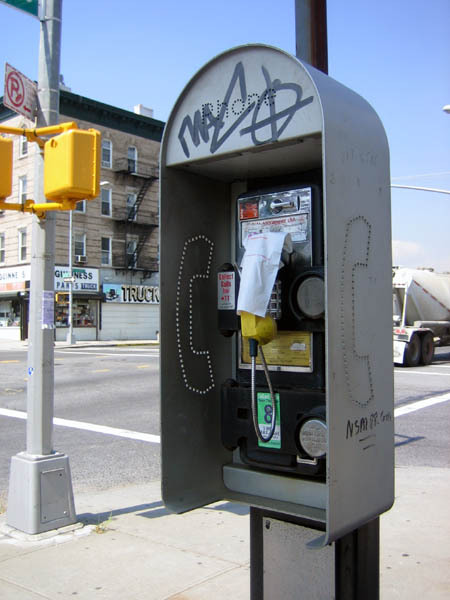 Another pay phone I found of interest is located on McGuinness Boulevard. Gravity isn’t what’s keeping that Dunkin Donuts napkin on the receiver. It’s adhered to it. brilliant photos. I especially love the duct tape monologue machine, thought the hopeful note is nice. The napkin stuck to the phone? Oh, yuck, yuck, yuck, yuck, yuck. Bleech. My mind is filled with images of what MIGHT be causing the napkin to stick, and none of them are pleasant.